The very first international exchange trip took place in the spring of 2016. This initiative was started by a CARP-affiliated women’s group called Kodan in the Los Angeles area who hoped this trip would be an opportunity for the local CARP chapter members to develop leadership skills, discover CARP’s roots in Japan and Korea, and build relationships with international CARP members. This year’s trip was a success and opened up opportunities for the future. The big takeaways were experiencing Father and Mother Moon’s heart and vision for CARP, the young people, and the world and fostering unity between the three countries of Japan, Korea, and America. For daily accounts of the trip, go to this blog. This year, participants spent eight total days in Japan and roughly four days in Korea. The trip opened with a 2-day Divine Principle workshop with content focused on the essence of the Divine Principle and the meaning and value of the marriage Blessing. Mr. Nakamura gave the lectures and clearly explained the principled lifestyle and true families. Through these lectures, the participants gained a deeper understanding of the heart of God and how to develop healthy and lasting relationships. After the two-day workshop, the participants went on a pilgrimage to Waseda University, following in Father Moon’s footsteps – the place he lived, the path he traveled, the prison he was sent to, and finally the university he attended. This experience opened up a path to understand Father’s past. 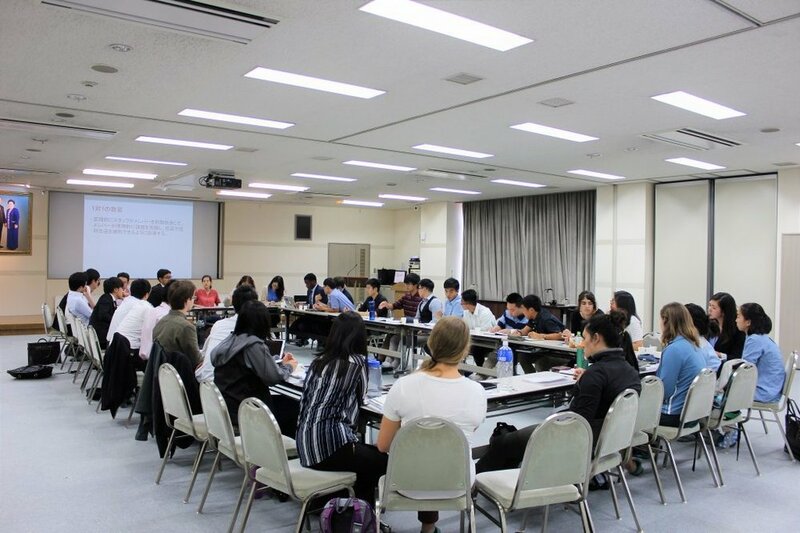 Fifteen of the participants experienced witnessing on Waseda’s campus. They invited students of the university to the CARP event, International Borderless Conference, where four CARP members spoke – two from CARP Japan, or J-CARP, and two from CARP America. A total of 15 new guests showed up at the event. They were inspired by the content and some even began studying the Divine Principle, which showcased to the participants how CARP can positively impact people. They could see the importance and necessity of CARP. The next day, an exchange program was held between J-CARP and CARP America with presentations and testimonies, culminating in a homestay for the American students at the Japanese CARP houses to experience CARP Japan’s lifestyle. Sharing experiences and a similar living space helped to bridge the cultural gap between the two CARP groups and foster new relationships. The leaders of J-CARP and CARP America met on June 26, exchanging plans and insights to build better CARP programs on both fronts. This was an inspiring exchange. Upon arrival to Korea, CARP America participated in a pilgrimage to Beomnetgol, Father Moon’s first church (also referred to as the” mud hut”), and Cheong Pa Dong, the first headquarters church. Witnessing Father and Mother Moon’s humble beginnings moved many participants to realize how much they sacrificed for the world. The participants then attended the 2017 International Collegiate Symposium for the Reunification of the Korean Peninsula at the Korean Congress building. Three representative students from CARP Japan, Korea, and America gave speeches on the importance of peaceful reunification. It was inspiring to see all three countries coming together to tackle this very crucial issue that was also dear to Father’s heart. Afterwards, CARP America held an exchange program with CARP Korea to share, bond, and inspire each other to be their best self. Finally, the culmination of the trip was meeting Mother Moon at the Cheon Jeong Gung Peace Palace. First, they were led to Father Moon’s resting place, Ponyangwon, for a prayer. From mud hut to palace in the presence of Father and Mother Moon, the participants were moved to tears and made determinations to work even harder from this point on. Before the participants packed up to return home, they made determinations within their CARP chapters to create or expand their CARP chapters. Everyone was motivated to set goals and achieve them, even shouting them out loud for their fellow participants to hear. All 120+ participants experienced one global family. With newfound determination and fond memories with CARP Japan and Korea, each participant is ready to go back to their communities and achieve more until the next year’s trip! For more photos from this trip, go to our Facebook page.